While preparations for the next academic year were reaching their final stages, one set of students had already arrived at the University. 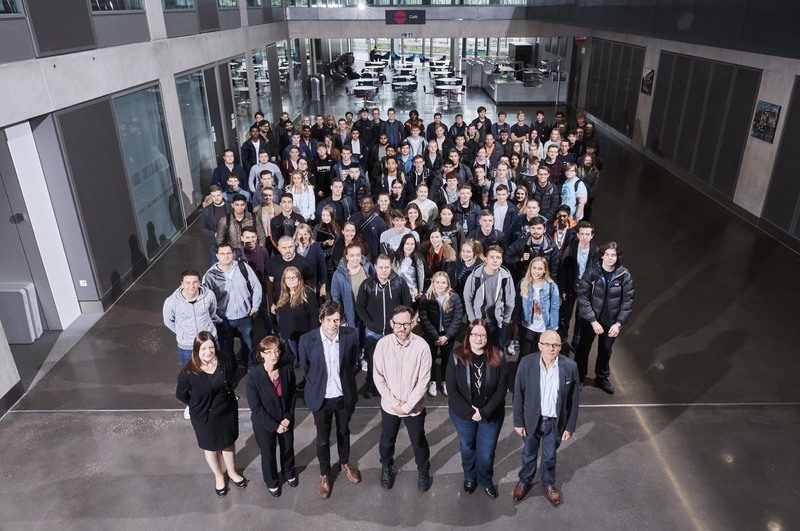 Three hundred new degree apprentice students, from over 50 different employers enrolled on the University’s sector-leading programmes, getting their first glimpse of what lies ahead, and started getting to grips with their new subjects. By choosing to study a degree apprenticeship, apprentices have the chance to earn a full-time wage and achieve a debt-free degree with the support of their employer. During the induction week, apprentices explored the unique challenges and opportunities of studying in this way, while also getting to know their classmates and the academic team. Many of the apprentices had also only recently started new job roles with organisations including Barclays, Lloyds, Thales, United Utilities, CDL and Shop Direct. Therefore, the induction programme included important support, to help apprentices develop vital workplace skills such as communication and team working. The large growth in apprentice numbers this year demonstrates the commitment of employers to degree apprenticeships as an effective way of supporting their employees to develop advanced skills, often in areas of skills shortages. Manchester Met has collaborated with employers such as Barclays to design all of its apprenticeship programmes to ensure they deliver the skills businesses need. The University is working with employers in many sectors to boost the number of programmes available, including Masters Apprenticeships, such as the recently approved Senior Leader standard. This week also saw the return of more than 300 apprentice students who have achieved incredible results so far on the Digital & Technology Solutions, Chartered Manager, Chemical Science and Legal Services programmes. If you'd like to find out more about degree apprenticeships visit our dedicated website.